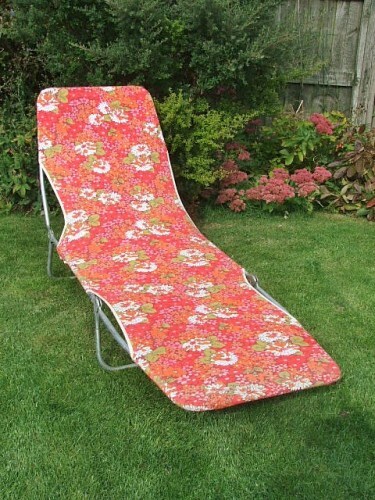 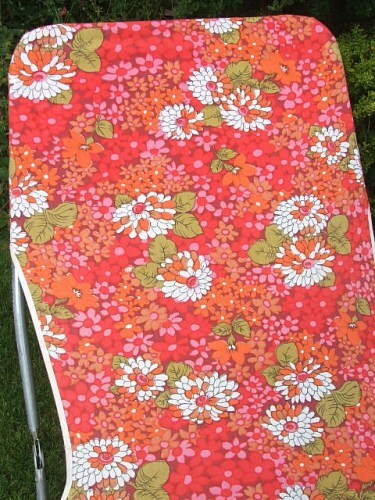 Original vintage retro floral covered sunlounger/sunbed, both floral cloth and metal frame are in good vintage condition. 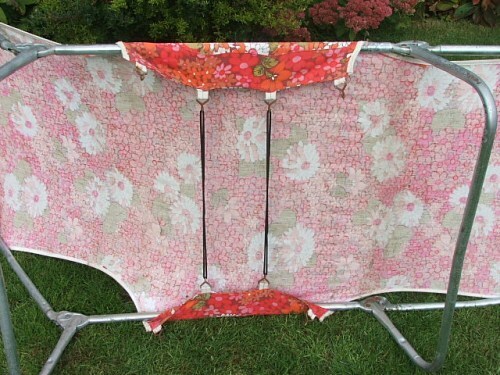 A couple of the springs from the underneath are missing -see images. 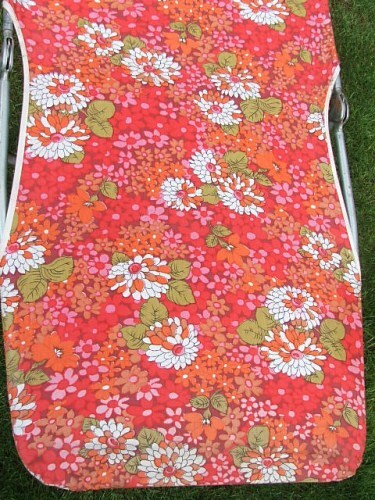 The floral cover is bright pink floral. 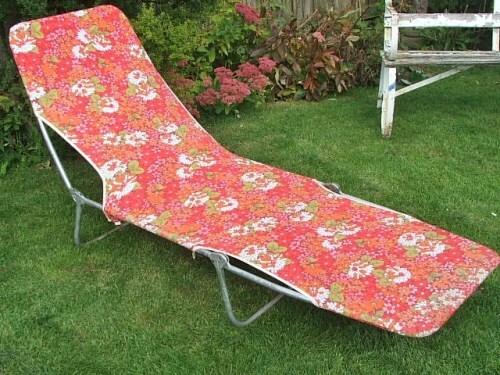 The sunbed folds flat for storage.